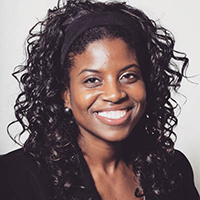 Pittsburg, Calif. – March 8, 2017 – Bishop-Wisecarver Group (BWG), a WBENC-certified family of companies that offer guidance solutions, contract specialty manufacturing and mechatronic-based engineering services, today announced that Melsha Winchester, Director of Marketing, was selected as one of the Women in Manufacturing STEP (Science, Technology, Engineering and Production) Ahead Award winners for 2017. The STEP Ahead Awards, part of The Manufacturing Institute’s larger STEP Ahead initiative, honors women who have demonstrated excellence and leadership in their careers and represent all levels of the manufacturing industry. “Congratulations to these outstanding leaders. These women are making huge strides in this industry and are demonstrating what modern manufacturing careers entail – rewarding and fulfilling careers with limitless opportunity for growth," said Jay Timmons, president and CEO, National Association of Manufacturers. This is the fifth anniversary of the award program and new research by The Manufacturing Institute, Deloitte and APICS Supply Chain Council found that compared to others participating in a women in manufacturing survey, STEP Ahead Honorees are promoted more often, have a clearer vision of their career path and aspirations, and are committed to encouraging future generation of women to pursue a career in manufacturing. The full report will be released at the 2017 STEP Ahead Awards event and will include data on the impact of women in manufacturing, as well as the impact STEP Ahead has had on the industry. Winchester has been in the marketing department at Bishop-Wisecarver Group for the past four years and prior to that, served as a business analyst with CPP and a market analyst at DHL. She earned her bachelor’s degree in Business Management from New Jersey Institute of Technology and her MBA in Marketing from Rutgers University. In addition to her numerous community outreach efforts with BWG, Winchester serves as a Vice President with the National Black MBA Association, San Francisco/Bay Area Chapter. On April 20, The Manufacturing Institute will recognize recipients of the STEP Ahead Awards at a reception in Washington, D.C. The STEP Ahead Awards program will highlight each honoree’s story, including their leadership and accomplishments in manufacturing. Bishop-Wisecarver Group (BWG) is a family of WBENC-certified companies that works with manufacturers to engineer, manufacture, and build linear and rotary motion solutions, custom complex assemblies, and optimal embedded intelligence systems. Through the integration of mechanical, electrical, software, control and systems design engineering expertise, 65+ years of experience and 20,000+ unique clients, BWG continues to provide a single point of service that results in custom designs, increased efficiencies and accelerated time to market. For more information, visit www.bwc.com.